On Thursday, the modern State of Israel turns 68 years old. To mark this milestone, Lisa Lis, a local friend of mine, chose to wish Israel a happy birthday when it's her day to sponsor a day's broadcast on the Michigan Public Radio Network. 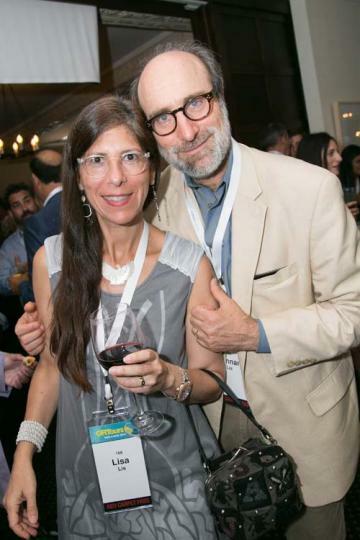 Since Lisa and her husband Hannan, a native Israeli, have donated at least $365 to Michigan's public radio station this year, they were informed that they could have a personalized message read on the air six times during their sponsored day. While many donors to the University of Michigan operated radio station opt to wish a happy birthday to an individual or a happy anniversary to a couple, Lisa felt it would be appropriate to congratulate Israel on 68 years of independence. According to a few Facebook posts by Hannan, however, MPRN nixed Lisa's idea because it would be an act of advocacy. I immediately recognized the problems with this public radio station blocking a donor's desire to offer birthday greetings to a democratic nation. First, the name "Israel" could belong to an individual since it's a popular name for men. After all, the State of Israel was named for the biblical character Jacob, whose name was changed to Israel. Thus, Lisa could simply be wishing a friend named "Israel" a happy birthday. Second, Michigan Public Radio took issue with Lisa's choice of words. She was going to include the term "blessing" in her greeting. That, the public radio station deemed too religious. I find that interesting since it's a public radio station and there are a lot of public entities that do not shy away from religion or blessings. Our national and local governments are opened with prayer each day, our courts ask witnesses to invoke God's name when taking an oath, and our public squares have Christmas displays each winter. Does Michigan Public Radio never mention the word "blessing" in their broadcasts? Do they ever have religious matters discussed on their radio station? Third, I'm sincerely doubting that had another donor to Michigan Public Radio chosen to offer birthday greetings to another sovereign nation rather than to an individual, it would cause this type of uproar. Why is the mere mention of Israel cause for controversy? "We will not be able to air your day sponsorship message as written. We have determined that this message would compromise the station's commitment to impartiality and that it crosses over into advocacy, or could imply advocacy... If there is another message, perhaps celebrating a birthday or anniversary of an individual, please let me know and I'd be happy to assist you." While I'm not ignorant and I certainly understand that tensions have been high in that Middle Eastern region for generations, there's no good reason that the radio station should single out Israel and refuse to allow a donor to offer this nation congratulations on its anniversary of statehood. I'm sure that wishing the USA a happy independence day on July 4 would be welcomed by Michigan Public Radio. That Israel gained independence 68 years ago is a fact and thus shouldn't be treated as controversial or as an act of political advocacy. Lisa didn't make any political statements in her sponsorship message. Had she done that, then I could validate the radio station's decision. According to an article in Deadline Detroit, Lisa Lis expressed her ongoing fight with the radio station, but also offered that she and Hannan were cautious to not disparage the University of Michigan while continuing to fight to be able to offer birthday greetings to Israel on the radio during their sponsored day. She said, "We continue to request acknowledgement of Israel's birthday. We're contemplating our donations to the station. We have not pulled it yet." My hope for Israel as it celebrates 68 years of statehood is that the public will cease to treat any mention of Israel as a controversial topic. A non-political offering of congratulations to Israel on its anniversary of independence should be taken at face value and not made into a controversy.